Developed in tandem with Grey Group Hong Kong, the ‘Best of All, It’s In Hong Kong’ global campaign by the Hong Kong Tourism Board invites citizens of the world to experience Hong Kong through the eyes of its locals. A bustling metropolis, a land of breath-taking contrasts with cultural diversity, and a captivating display of global trendsetters, Hong Kong stands proud as one of the most visited cities in the world. Beginning with four brand videos and a director’s cut, visitors are encouraged to see and feel Hong Kong through differing experiences including: Gourmet Dining, Trendy Fashion and Entertainment, Family Adventures across Land, Sea and Sky, as well as experiencing the Great Outdoors Just Next To The City. Slated for launch from 28th October onwards with focus initially on the Asia Pacific region (China, Taiwan, India, Korea, Japan, Malaysia, Singapore, Indonesia, Thailand, Philippines), the campaign will also extend its online reach to long-haul markets such as Australia, Canada, France, Germany, UK, & USA. 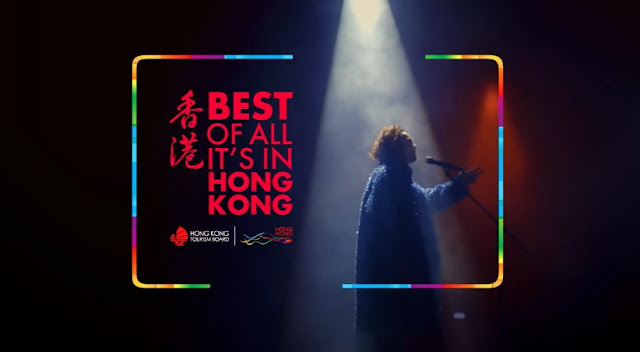 The series will be broadcasted across various regional TV networks (BBC, CNBC, CNN, Discovery Channel, Fox & National Geographic), as well as on local TV channels, with insider’s recommendations and itineraries readily available via Hong Kong Tourism Board’s online and social media platforms. “It is a huge honour to be working with the Hong Kong Tourism Board on this campaign, and for us to tell Hong Kong’s story to the world. Showcasing the local aspects of Hong Kong highlights the different dimensions this remarkable city has to offer. People love coming here, there’s no city quite like it with so many diverse and treasured moments waiting to be discovered”, commented Sarah Trombetta, CEO, Grey Group Hong Kong. Part one of the brand video features Chef Bombana, a prominent Michelin-starred chef who has called Hong Kong home for over 20 years. Viewers are given insights on his burning passion for local cuisine, and invited to see Hong Kong through his eyes as he embarks on a tantalizing food trail alongside various renowned chefs and foodies. Part two takes on a creative touch as the spotlight falls upon Anais Mak, a fashion designer who derives inspiration for her outfits from the creative flair of Hong Kong’s streets. Stay tuned till the end for a surprise cameo by Eason Chan!